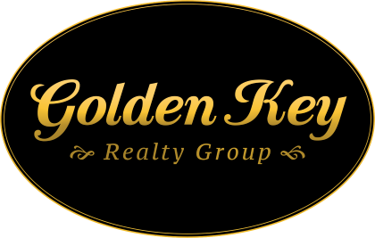 Evi Angelakis is the Founder of Golden Key Realty Group, a company she started a few years ago, with a focus on Multi-Family Properties, Shopping Centers, Office Buildings and Development Sites. Evi Angelakis has almost two decades of experience in new development, closely collaborating with developers in the planning, marketing, and sales of new residential buildings throughout the city. She is very familiar with all the phases of development as she served as the controller for a large construction company focusing on DEP, Port Authority, MTA and SCA projects. That experience, intertwined with her property management skills and 20 years of investment sales record, sets her aside from the competition. Evi Angelakis has established an excellent reputation as a creative thinker. Solving problems with patience and professionalism, makes her a valuable asset to her clients. Being an investor herself, she understands all the facets of buying wisely, building smart and flipping when appropriate. Having managed residential and commercial properties for the past 15 years, has given her a detailed knowledge of the pros and cons of owning and managing a building. She advises her clients continuously well beyond a transaction is completed as she has extensive knowledge of dealing with City’s and State’s agency like DHCR, HPD, DOB, DOF. She is an expert on negotiating complicated deals and has proven to be very effective problem solver in the commercial market. No deal is ever big enough to satisfy her appetite for great challenges. It is through these challenges that she truly thrives. Evi Angelakis is a member of the Real Estate Board of New York and ICSC. She is also a member of REBNY’s Queens Commercial Committee.